My name is Courtney DeFeo and this community has been on my heart for years. 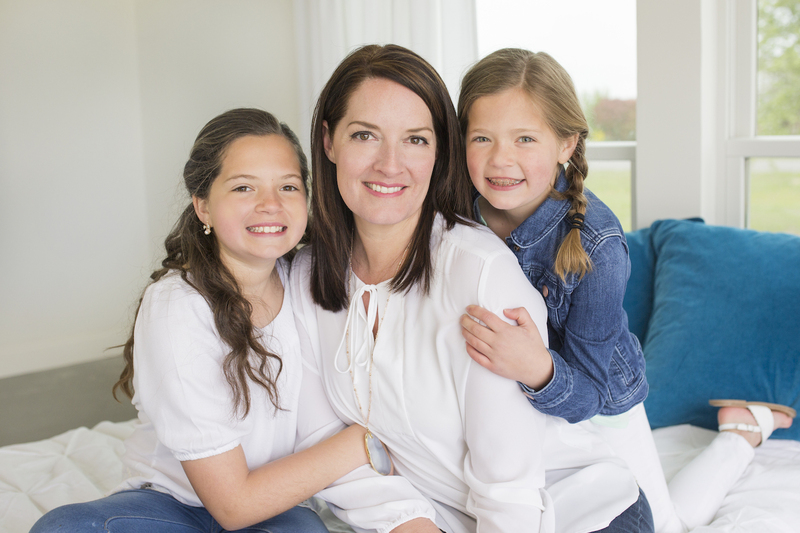 I am a mom of two girls and I come from a line of feisty, strong, tender-hearted women. It’s my joy to bring these resources to you. I am not your expert – I am your friend. I am with you in raising up women to become all they can be – while dealing with my own shortcomings and fears. Raising daughters can be overwhelming, but it’s mostly amazing. You are not alone. All of us are struggling with what to say and do with friendships, technology, body talks, emotions, their safety and much more. I won’t always have the answers – but I promise to point you to vetted resources. And most importantly, I will always point you to the only one that matters most. God created our girls. He created you as their moms. So, this is a journey for us together. Treasured is so many things. It’s a curriculum (coming soon!) for mothers and daughters to do together. It’s a community where we can share ideas (be sure you are on the email). It’s a way of raising our girls to discover they are worth more than they know – they are treasured by God. They are treasured by Mom. I’m on your team and for you! Be sure you listen in on the podcast. It’s becoming apparent that this community needs more than one frazzled girl to keep up with the work and exciting ways we can support you all! God is bringing the most amazing people my way. Let me introduce you to two of the KIND volunteers (hopefully paid one day) joining our team. You’ll hear from them on the blog, social media and more. My name is Ellen Cooper & I’m excited to meet all of you! My husband James and I have been married for 15 years and we have two beautiful girls, Ella (11) and Hannah (10). We live in Atlanta, GA where we both grew up. Fun fact, James and I actually went to the same high school but we didn’t meet until after college! 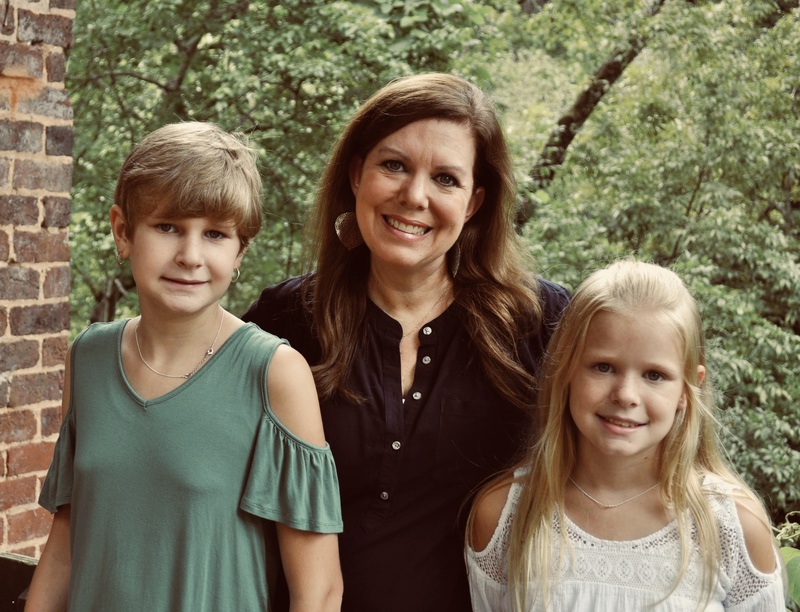 After graduating from Ole Miss, I spent 14 years working in sales and marketing until I left in 2013 to stay home with the girls and help James with our family business. Two years ago I felt God calling me to learn more so that I could do more. That calling led me to Dallas Theological Seminary where I will soon have my Master of Arts in Christian Leadership. I have a heart for moms & girls and am passionate about supporting them in connecting with each other and growing together in their relationship with Christ. My name is Heidi Miller and I’m so excited to be part of Treasured Girlz! I have been married to my college sweetheart, Caleb, for almost 19 years. We have the unique privilege of both getting to be on staff at the same church in Texas. Caleb is the worship pastor and I work in the Missions Department (fun fact – my parents were missionaries and I grew up in Mexico City!). Aside from being a wife, my favorite title is mama. We have three kids – Carlee is 17 and a senior in high school (pray for me – this mama’s heart is having a hard time), Cade is 15 and a sophomore and Hayden is 11 and a 6th grader (middle school!!!). My heart’s passion is for my kids to know they are loved, treasured and that they have a purpose. When Carlee was in 5th grade a friend and I started a girls group to remind girls of these very truths. Several of those girls are still together in the same group – 7 years later! As much as I can I want to let moms and daughters everywhere know that we need each other – to learn, to grow, to remember who we are and Who’s we are.